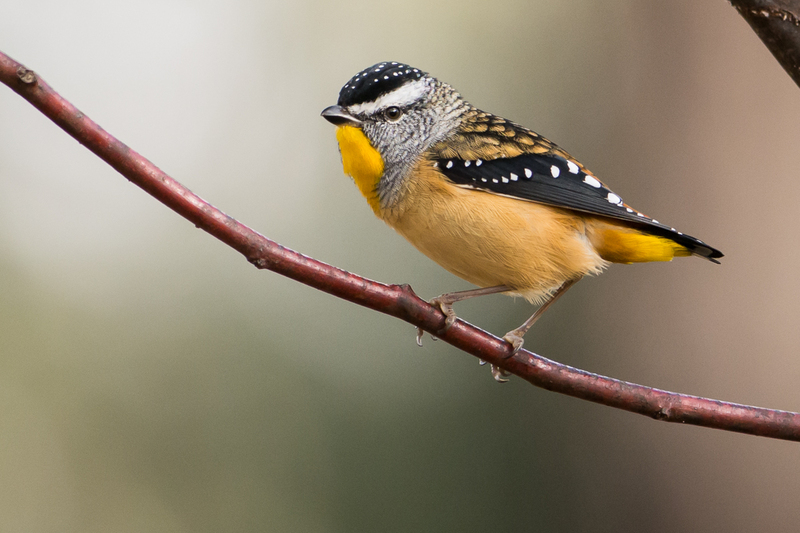 A treat was in store for the group that trekked up to Bendigo, with the Crusoe Reservoir serving up one of the best bird photo opportunities many could remember. With the usual outstanding organisation from Peter and John, the early rain finished promptly at 9.00am and obediently stayed away for the rest of the day, giving way to mostly sunny spells with no wind. The birds responded en masse. The No 7 Park Reservoir was completed in 1861 and the Crusoe Reservoir in 1873. They helped secure a permanent water supply for Bendigo and water for its thriving gold mining activities (much more productive than Ballarat’s). In the mid-2000s, when the water was no longer needed for Bendigo’s water supply, plans were made to link the two sites and develop them for recreational use. The result is a fabulous location for birds. 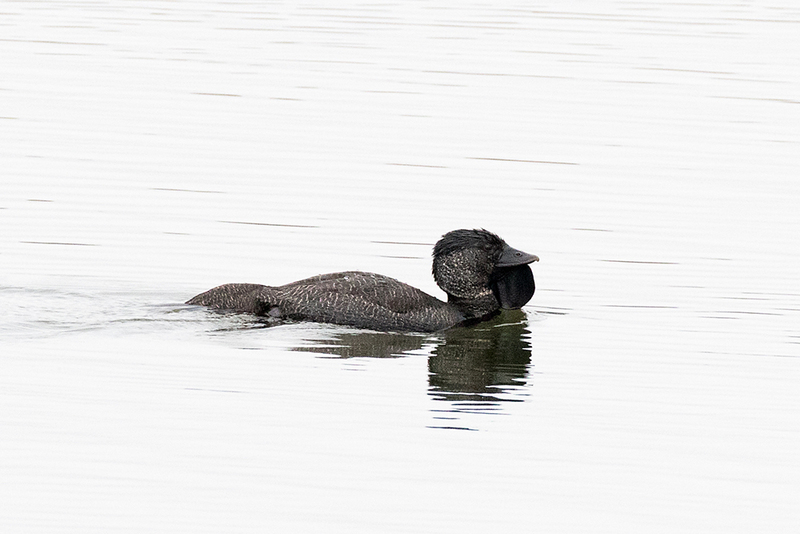 After setting out across the retaining wall of Crusoe Reservoir and spotting the odd Coot (or two hundred), obligatory Welcome Swallows and Little Pied Cormorants, all three Grebes and a solitary Musk Duck and Chestnut Teal, we walked along the edge of the box ironbark forest fringing the water. 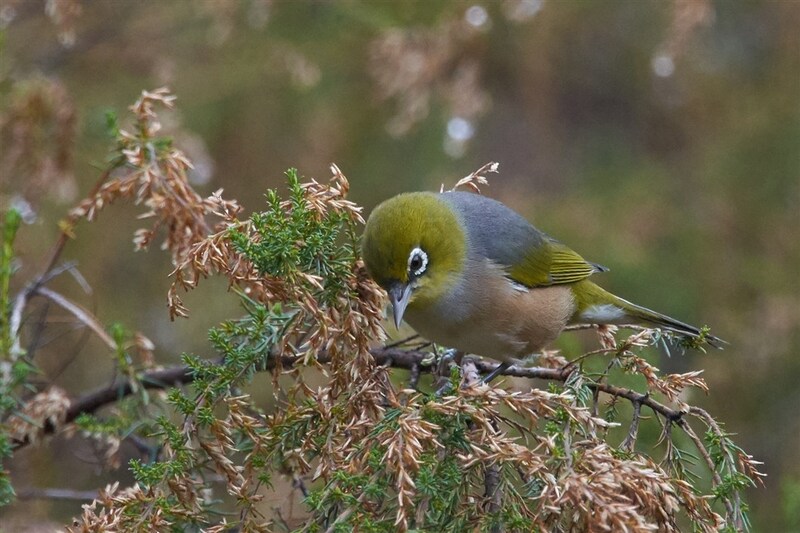 The group was immediately surrounded by dozens of Honeyeaters flitting about the flowering gums and wattle. 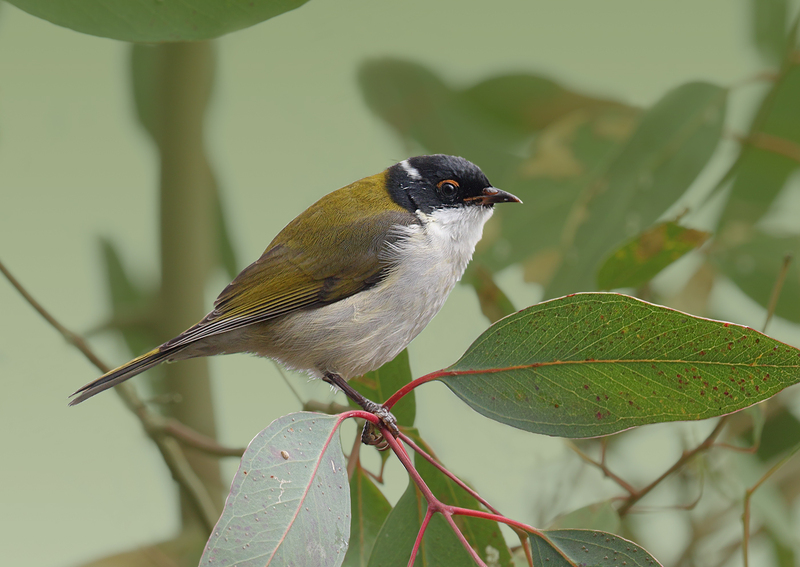 Yellow-tufted, White-eared, Brown-headed, Yellow-faced, White-naped, Fuscous and White plumed Honeyeaters were all part of the display. The New Hollands couldn’t compete so stayed away. Close encounters were common since the birds were intent upon chasing each other, often landing on low branches very close to dozens of cameras. Click, click, click. The open nature of the woods and low scrub around the track provided excellent viewing. 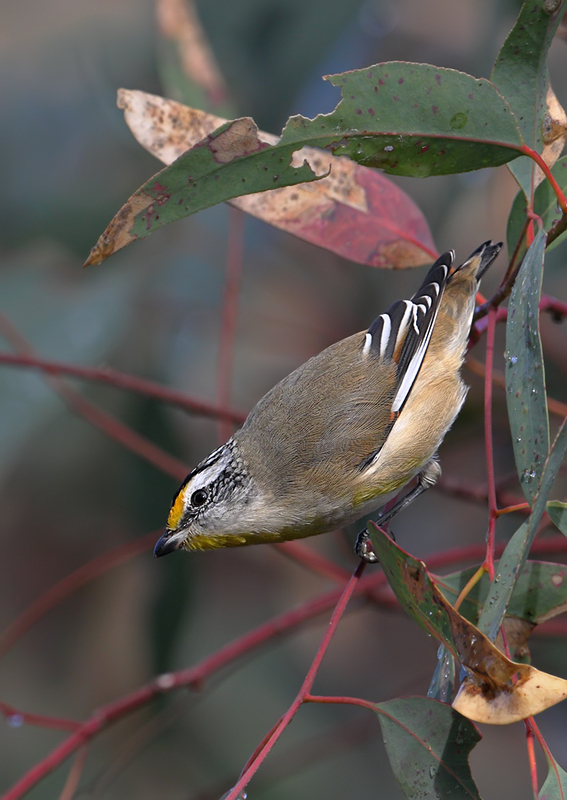 The water’s edge forest was also a playground for dozens of Spotted Pardalotes not wanting to miss their own photo opportunity. They too vied for attention at close quarters, down on low bushes and on the track itself. Striated ones were more circumspect, staying aloft in the canopy. 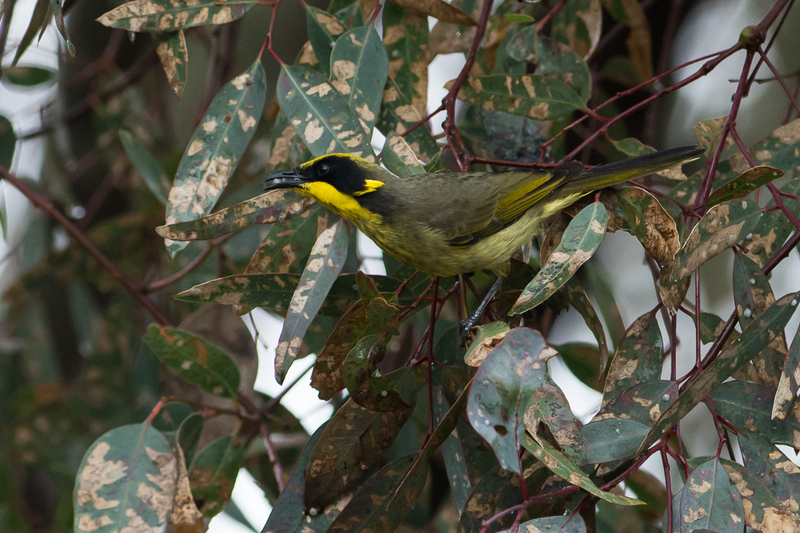 Red Wattlebirds were numerous but tended to stay in the enclosed tall forest, along with a well-camouflaged Olive-backed Oriole. 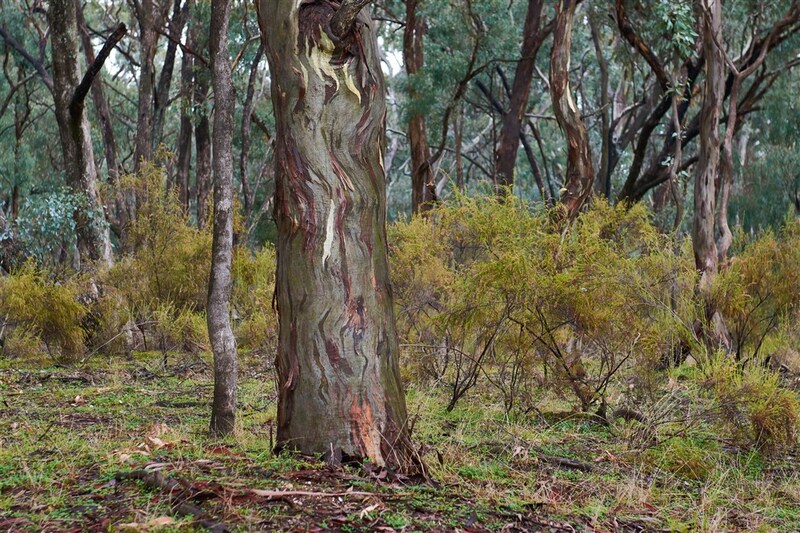 The forest also provided some Crimson and Eastern Rosellas, Galahs, Eastern Yellow Robins, Yellow-rumped Thornbills and Superb Fairy-wrens. So good were the photo opportunities, the initial group of 14 or so broke up early on into smaller parties that spent many happy hours chasing excellent shots in separate spots. 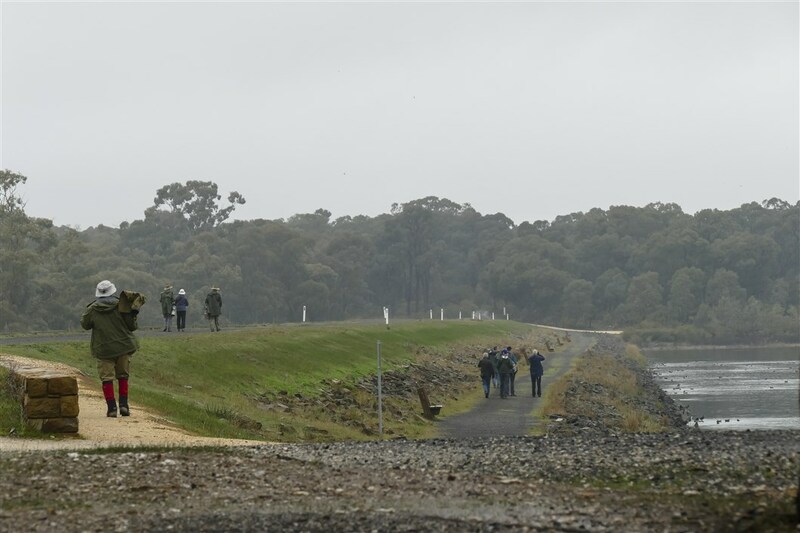 It took over three hours for some to complete the 3.3km lap of the reservoir – local joggers passing us did it in 20 mins – before we reconvened for lunch at the nearby No 7 Park picnic ground. The smaller No 7 Park Reservoir had some interesting historic features, including connections to the Coliban Channel, sluice gates, settling ponds, frog ponds and a mysterious 10 metre diameter brick ‘basin’ of unknown purpose. A lap of the smaller No 7 Reservoir yielded some similar photo opportunities to the morning, adding Eastern Spinebill and Scarlet Robin amongst others to the bird list. 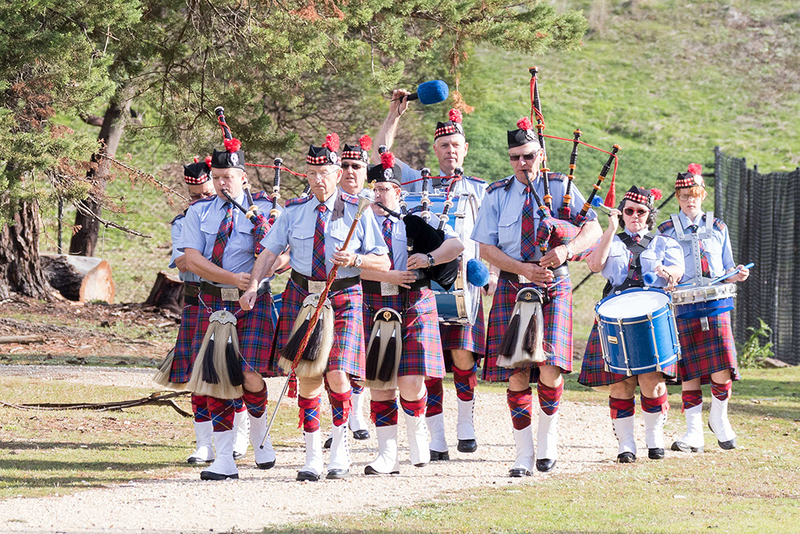 The bird song was mixed with the lilting sounds of Amazing Grace and Scotland the Brave on bagpipes as the Bendigo Highland Pipe Band used the picnic ground to rehearse. Although their picnic stretched to table cloths and sparkling wine, I suspect we saw more birds. A memorable day out with the cameras. This entry was posted in Crusoe Reservoir on May 31, 2017 by blmelbphoto.